SUVs have become the de facto family car in recent years. However, if you're in the market for a new car (especially a first car) and don't have family or kids to worry about, a supermini may actually make a lot more sense than an SUV. Its smaller size and less bulky demeanour mean that it’s easier to drive and easier to live with. It shouldn't be that surprising, then, that the Volkswagen Polo is the brand's second most popular model, only behind the ubiquitous Golf. Now, there's a brand new Polo, looking to further improve on the brand's supermini formula. The big change is that the new Polo is been built on the VW MQB platform, specifically the compact A0 platform. To be clear, this isn't the same platform as the Golf, even if the two models look quite similar. The A0 platform is used across the VW Group's compact models, including the Seat Ibiza and the upcoming Skoda Scala. 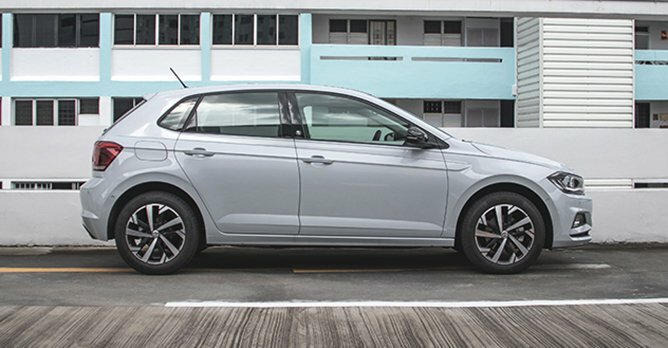 The new sixth generation Polo has grown bigger - 81mm longer and 69mm wider. Visually, it now looks remarkably like a slightly shrunken Golf. The LED head lights, radiator grille and front bumper make for an angular fascia that's undoubtedly handsome. If nothing else, the redesigned exterior brings the Polo much more in line with brand's overall design schema, unsurprising as the brand increasingly homogenises its lineup. The Polo's boot has also been expanded by 25% compared to its predecessor, and now clocks in at 351 litres. 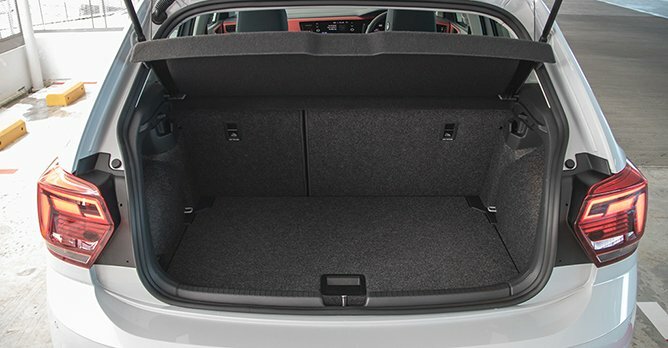 This is actually not that far off from the Golf's 380-litre boot capacity. 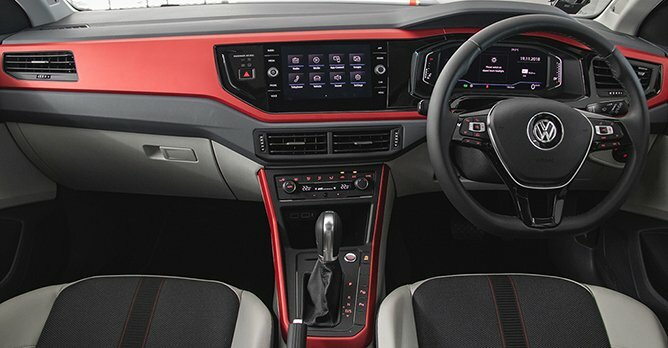 Inside, it's recognisably VW - ergonomic, intuitive to use and highly functional. However, don't think for one moment that this is a bare interior. In fact, especially in this Beats trim, the cabin is very high-tech indeed. 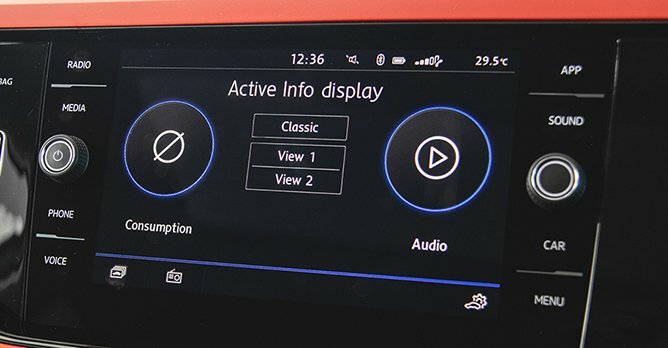 You get an 8.0-inch Composition Media infotainment system that offers smartphone connectivity via App-Connect. 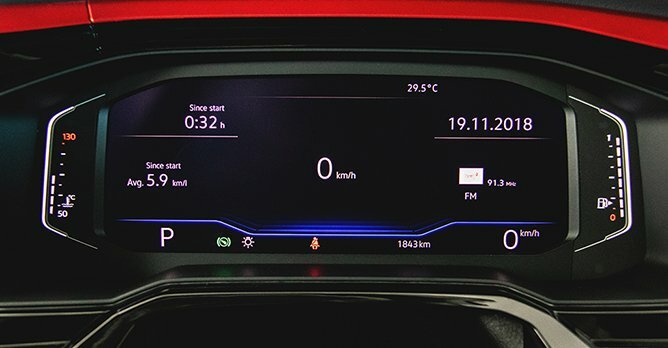 Also, the Polo is the first VW to offer the second generation Active Info Display, a 10.25-inch screen that allows you even more ways to customise the digital dashboard. This Beats edition also comes equipped with a powerful eight-channel amplifier, digital sound processor, a subwoofer and six speakers that deliver a combined 300W output. Additionally, the cabin features a very bold red interior trim, fabric seats, as well as a large panoramic sunroof. 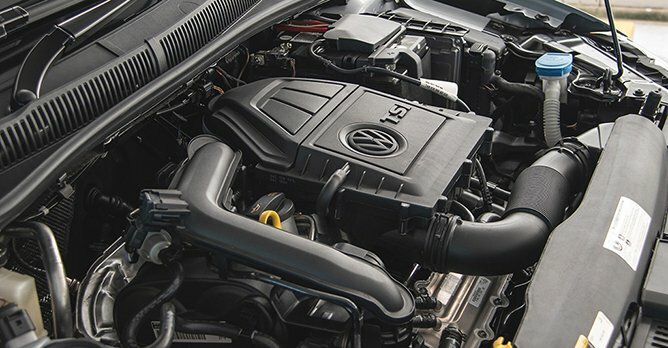 The engine powering the Polo is same turbocharged 1.0-litre unit in the Golf TSI, but it has been tuned differently. Power has been bumped up slightly to 113bhp (a 5bhp increase), with the same 200Nm of torque still available. To be honest, this uptuned engine delivers a driving experience different from what we remember in the Golf TSI. There's significantly more refinement in the Polo, and we did not detect the same low-rpm rattle that we noticed in the Golf. We suspect this is a result of the higher state of tune, which has the engine idling at a slightly higher rpm, as well as the Polo's lighter weight, which means that the engine doesn't have to work as hard. On the road, the Polo is eager and alert when you drive it hard. The engine is responsive and punchy, though there's no denying a notable turbo lag. However, more impressive is how comfortable the Polo is for day-to-day use. Regardless whether on small roads or highways, the Polo is composed, planted and quiet, with the light steering making for an effortlessly easy drive. Through corners, the Polo is capable enough, but there are sharper and better handling superminis in the market. Where the Polo stands out is in the way it strikes a great balance between outright comfort and eager sportiness. The biggest step forward for the Polo is its overall refinement and quality. It's well-equipped, thoroughly-engineered, and well-mannered in a way you don't normally expect from a supermini. It does fall slightly short on dynamic verve and excitement, but that's a criticism you could easily level on most cars across the VW range. In fact, we reckon with the new Polo, it's actually easier to make the case that it's a viable and sensible alternative to the Golf. Yes, the Golf boasts greater all around utility, but there's a cheeriness about the Polo that you don't get in the Golf. At the same time, you're not giving up that much, considering the new Polo's increased dimensions and overall available space. With its balance of comfort and agility, excellent on-road refinement and overall completeness, you ought to look at the new Volkswagen Polo if you are looking for your first car.